To be honest, my first experience of an Esoteric Yoga class was very challenging to put it mildly – and it had nothing to do with any extreme or difficult yoga poses. I had come to this gentle, loving approach that was about ‘living yoga’ with many pre-conceived ideas about ‘doing yoga’, and what I thought yogic practice to be. Previously I had been a very keen practitioner of many different forms of yoga and had developed a dedicated practice, including yoga postures, meditation and breathing exercises. My fascination with yoga led me to journey through many eastern countries, where I regularly studied and attended yoga retreats and various classes. Most of them were extremely dynamic practices and were actually very strenuous on my body. One memory, which has stayed with me, was of a class I attended in India. There were straps attached to the wall that were to be placed under the sacrum to ‘support’ a backward arch position. Both feet were flat to the wall and as straight as possible. The teacher then stepped onto the thighs of the students as a way to ensure the legs were straight. 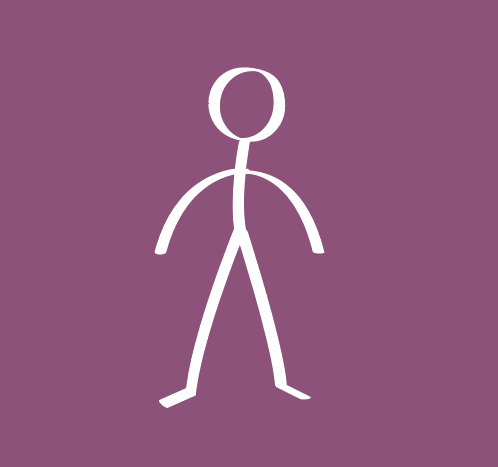 He walked across the line of students, one to the other. I remember being stunned at this behaviour, yet this was apparently what I signed up for. 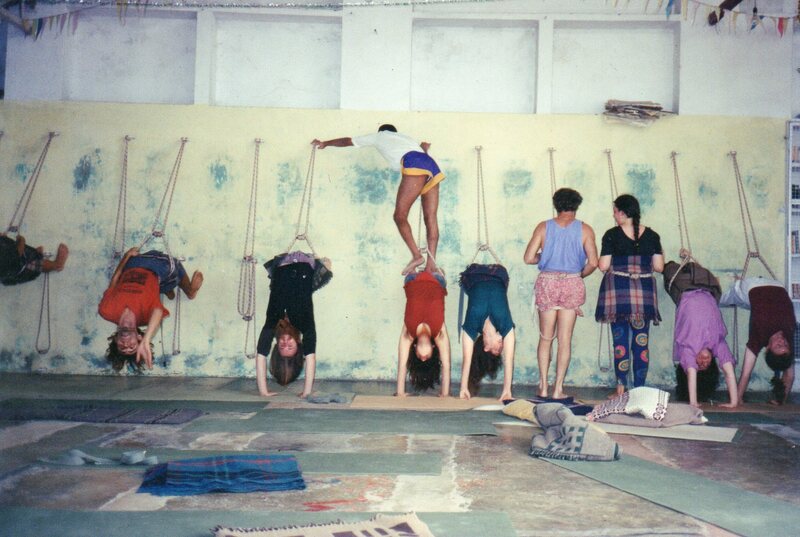 Victoria in Rishikesh India 1993-4, 5th from left in ‘supported’ back arch position. I had taken on the practices as a way of improving my life and to find that elusive sense of union that I was searching for. 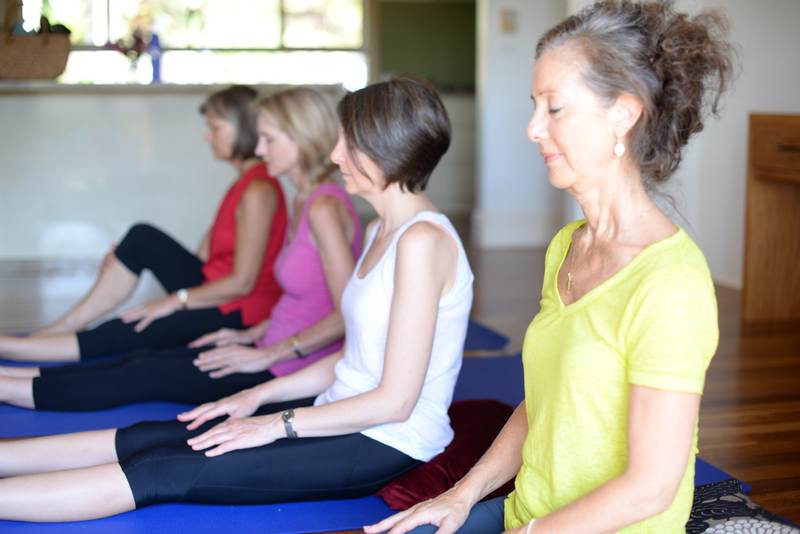 At the time I thought this commitment to ‘doing’ yoga would naturally bring me closer to what I thought yoga was about – that as a practice it would be a way to connect more deeply to myself and my body. In truth some of these practices were an assault on my body, though at the time my mind had overridden my body’s knowing. Physically I did develop a strong, toned body and I did have a level of awareness, yet I was still feeling something was missing. Victoria in Rishikesh India 1993-4 being ‘adjusted’ in a back arch position, ouch. Why was I not truly feeling this union that is the true meaning of Yoga – in myself, in my body and in my life every day? Was I expecting the postures to bring a feeling of union or yoga to me? I realised that I had come to believe that ‘yoga’ was something I had to do and work hard to achieve. Because I was familiar with doing a very active practice, it was initially excruciatingly difficult in the Esoteric Yoga class I attended. The session was asking me to be still, surrender and feel me, and exactly where my body was ‘at’ – without the need to fix or change how or what my body was feeling, but simply allow myself to feel it. I was used to pushing through to get a certain result or flexibility – or to spend long hours in meditation to arrive at a more exalted state… I believed that this is what led to connection, that there was an effort involved: ‘union’ was something to be gained through striving, through attainment. With Esoteric Yoga I was now being asked to simply be rather than do. We live in a world that encourages us to do, do, do and we often don’t allow ourselves or take the time to just simply be still with ourselves. In the past I had approached my yoga practice with the same momentum of ‘doing’. This at times was exhausting and not supportive. Experiencing Esoteric Yoga was very revealing and humbling, as I discovered exactly how I had been living and the unnecessary effort and energy that I was using to fuel this way of being. I didn’t look particularly stressed on the outside though there was an underlying tension I could feel and a drive that I worked in. I was often a few streets ahead of myself! With Esoteric Yoga, there were no techniques presented as such and no strenuous postures, just very simple, gentle movements and an opportunity to lie down without movement and feel whatever was there to feel. An opportunity to re-connect to that place within, that depth of stillness that is all knowing. This presented an entirely different relationship with my body and my ‘being’ where I became more present with myself than I had previously known. There was nothing to distract, engage or entertain the mind in the Esoteric Yoga class. The focus was not on the doing but rather the being, and this was challenging – as there was nowhere to go, nowhere to hide or mask what my body was revealing to me. Did I want to allow myself to feel that much, to the depth of what my body was sharing with me? It was actually, initially, very uncomfortable to feel. I could feel tension held in areas of my body and a sense of the underlying nervous energy and anxiousness. My mind was busily wandering here and there, and it was tiring witnessing it. Previously in my yoga practice, a lot of the emphasis as mentioned had been on the ‘doing’ to achieve a certain result or posture, rather than simply allowing and connecting to my ‘being’, and living from that union/yoga in my everyday life. I discovered that all the daily activities – cooking, driving, even washing up – are all the same when I made it about staying in yoga – that is, the simplicity of being with me to begin with. What a change this was from doing a 2-hour daily practice, often feeling tired afterward and looking forward to my coffee to revive me. Simply acknowledging and being honest with what I was feeling, was for me the first step in allowing myself to just be. This was the beginning of true healing and re-connection. 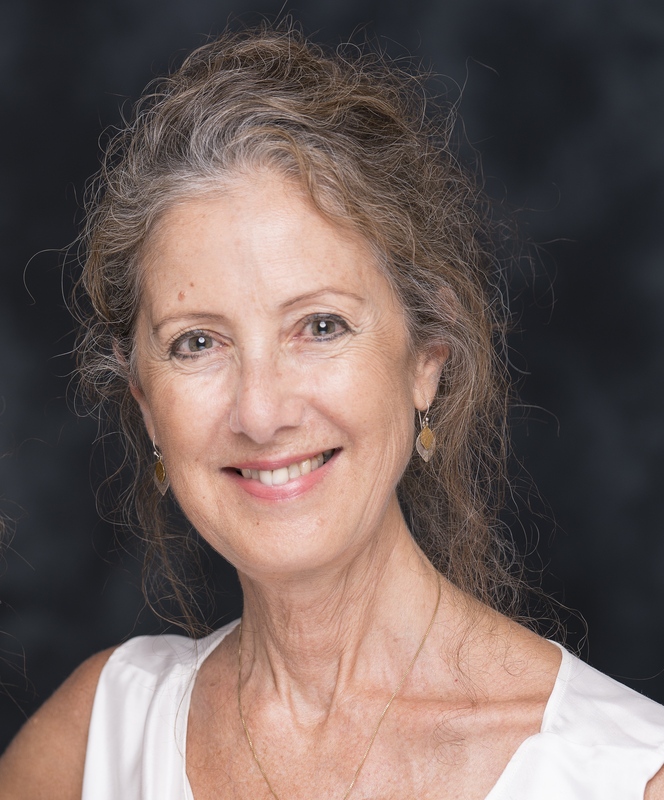 Over the years I have come to absolutely treasure what Esoteric Yoga has offered me, and continues to offer, supporting the development of conscious presence and a re-connection to a deep stillness, which I am then able to bring into my life. By simply allowing myself to be fully present with my body, I have gradually developed a deeper awareness of myself. This has occurred through listening to the wisdom of my body, which is now able to speak loud and clear. My body shows me exactly where I am at and what energy I am in at any given moment. This is a true gift to oneself as a practical way to self-care and develop an intrinsic relationship with one’s own healing. I have discovered through the Esoteric Yoga an ever deepening and expanding awareness that unravels layers of unnecessary complexity. In giving myself the opportunity to just be, this has naturally, and with no effort involved, supported a true connection to my inner-self – to a depth of stillness within that I hadn’t previously allowed myself to surrender to. My life today is naturally more simple and harmonious in every aspect. The true beauty and healing offered by the simplicity of the Esoteric Yoga practice allows my way of living to come from a ‘being’, rather than a constant ‘doing’. This sense of being and allowing from a foundation of stillness is re-uniting – a coming home to my/our true innermost nature. To then live from this connection every day is to truly be in Yoga/Union.